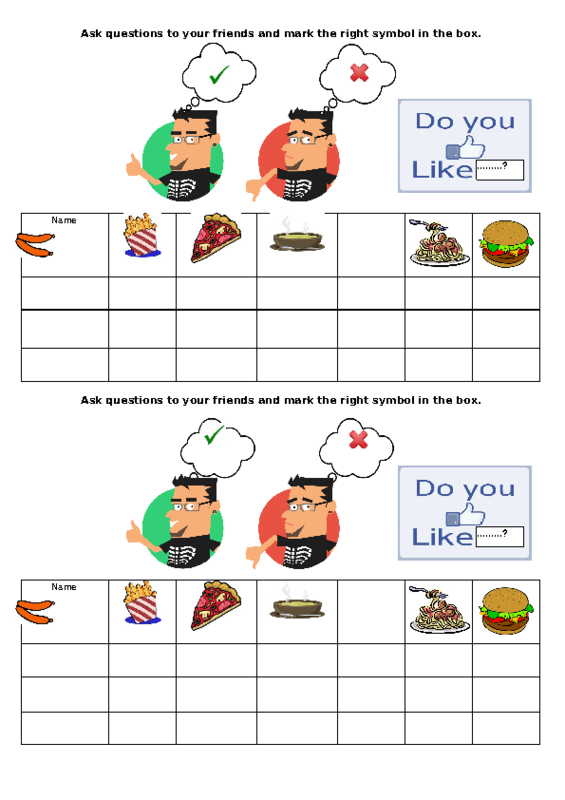 Students will have to ask their partners: do you like...? They will practice the structure: I like.... I don't like, then they will able to make a short report about the results obtained in the survey. I hope you find it useful.